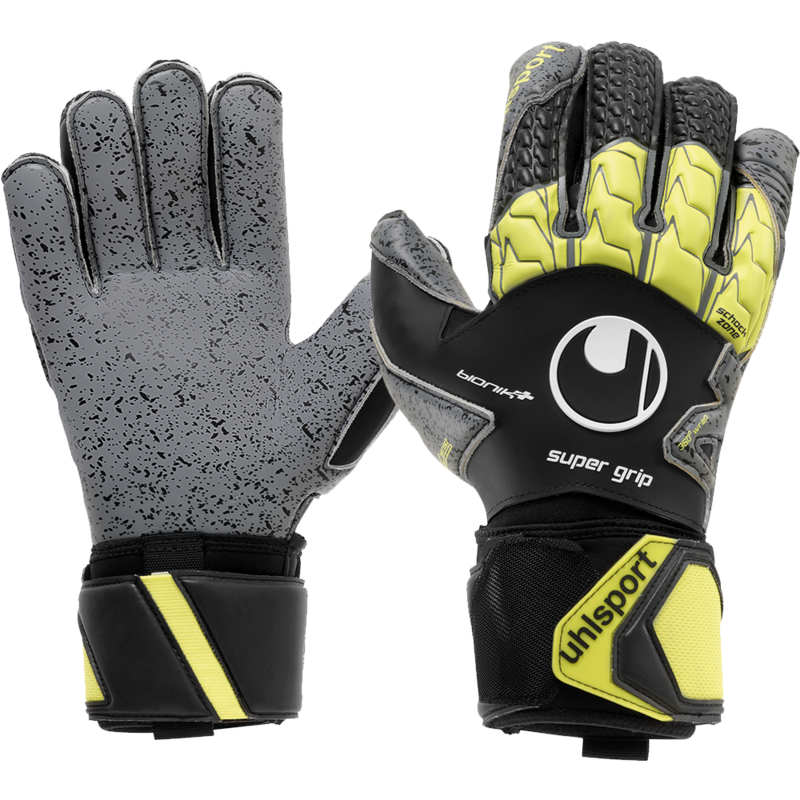 Innovative Uhlsport SUPERGRIP palm for the best game grip and balance of durability for the advanced goalkeeper. The black particles you see in the gray latex are "High Grip Elements". The Uhlsport Bionik+ goalkeeper gloves patented finger protection technology offers advanced stabilization of the fingers and thumb as well as outstanding distribution of the impact forces without limiting the flexibility. The + (plus) refers to the additional finger support placed in the thumbs. Inspired by the best structural engineer of all time Mother Nature the BIONIKFRAME is designed to mimic and enhance the natural arrangement and operation of the musculature of the human hand. The result is stable, flexible, lightweight. Bionik frame finger save technology is a close imitation of the human hand and finger tendons. The Uhlsport is for keepers that require support but find the plastic finger stays found in other manufacturers to be too rigid and hard to close. Comfortable neoprene glove body for best breathability and wearing comfort with a 3D-embossed latex. The backhand also features a 3D-embossed SCHOCKZONE element with high rebound foam for optimised punching performance and cushioning. Classic cut with new 360° wrap grants a maximised catching area and perfect fit. The 12° angle on the wrist supports the ergonomical hand position for perfect catching performance. A full neoprene bandage for best wrist fixation and wrap around latex strap with rubber pull tab. 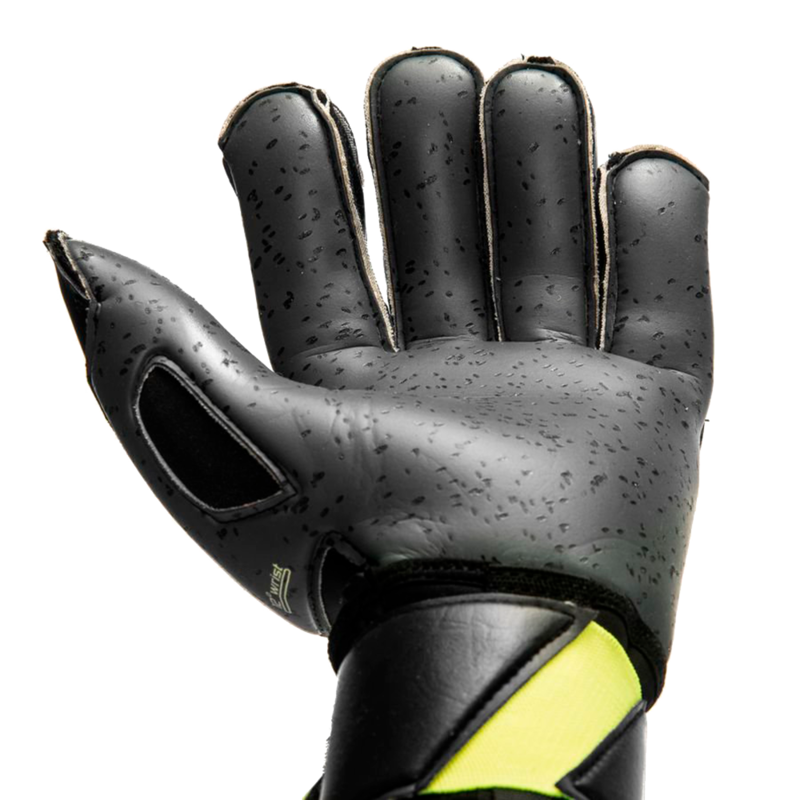 All weather latex with increased durability in a game goalkeeper glove. Bought a couple pairs of the Uhlsport Eliminator Bionik and have been using them for the last year. 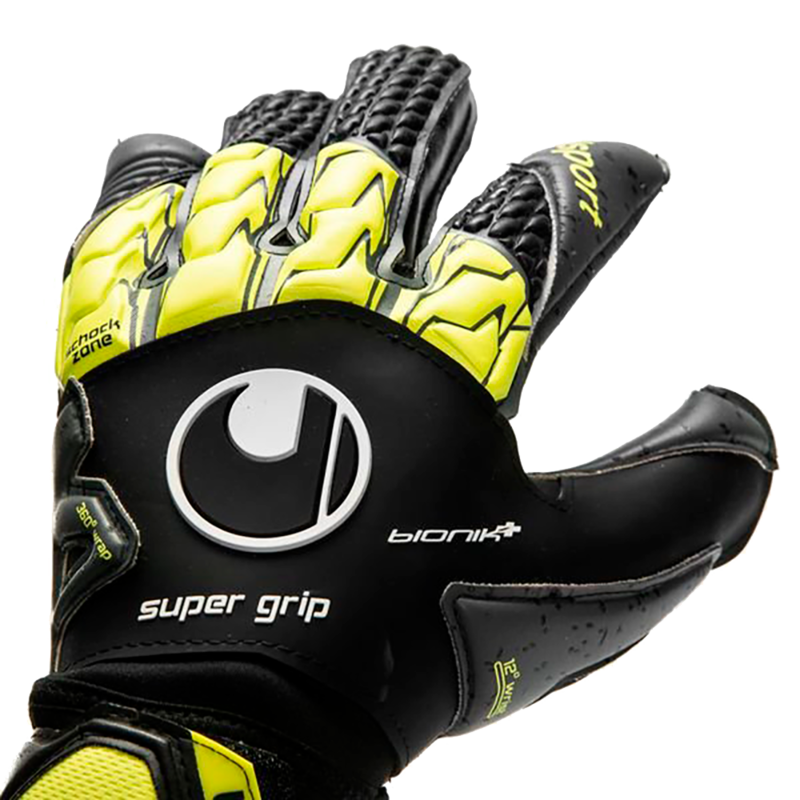 Its a great balance between grip and weight with fairly light finger protection (vs. Reusch Waoranis I was playing in). 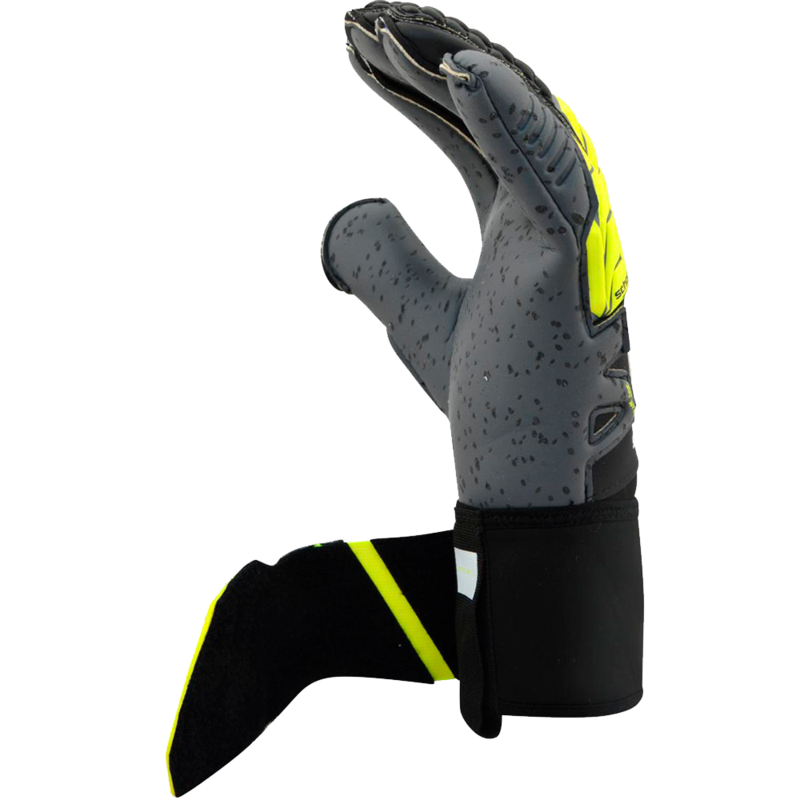 This glove seems to have same properties as the Eliminator; fit is very similar but may be a pinch more snug (which I don't mind). Haven't played in them yet but price for this quality glove is unbeatable.